Turtle in a Half Shell! 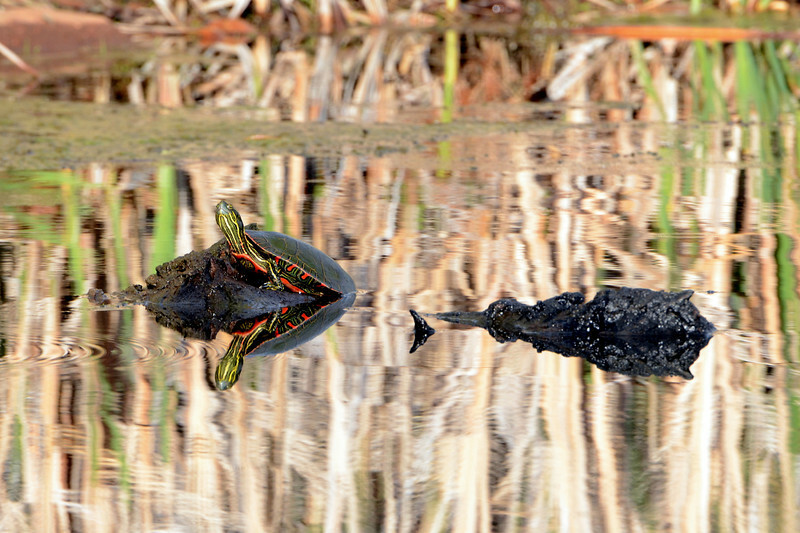 - I was trying to get pics near Pella Ponds and quickly noticed that there were painted turtles everywhere! They were really skiddish and dove into the water at first sight a human, but if you sit there long enough, they get used to you and come back out into the sunshine. Fantastic capture. Color is so nice.